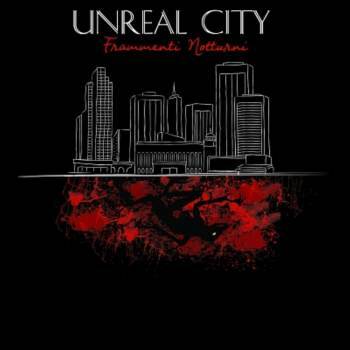 Only two years after Il Paese Del Tramonto (2015, see review), The Italian progressive rock act Unreal City return with a new album, Frammenti Notturni. The band has toured Europe and Canada in the last few years and has grown. The current line-up includes composer Emanuelle Tarasconi on keyboards and vocals, Francesca Zanetta on guitar, Dario Pessina on bass guitar and new drummer Marco Garbin. FrammentiNotturni, which was recorded at the beginning of 2017 sees the participation of guests Matteo Bertani on violin and Camilla Pozzi on vocals. The band is known for its use of the classic prog keyboards. Piano, organ, MiniMoog and Mellotron are the main instruments and they sound great. As does the whole album. They wanted it to sound more live and rough and they succeeded. The music of Unreal City is real Italian prog. Drama, opera, jazzy influences and even some melodies that sound like the great Angelo Branduardi (I know, not prog, but a lot of his music was quite classic). Emanuelle Tarasconi is the big star of this band and on the album. His dramatic vocals are perfect for this type of music and he sings in his mother tongue. Which is a great plus! His keyboards sound amazing and his technical abilities shine throughout the album. The guy knows his classics and he writes lovely melodies. It has no use to evaluate every single track. This is an album to enjoy in one spin (and another and another). Give it a listen and you are immediately familiar with these classic sounds and melodies. Realise where the band comes from and you want to enjoy it with a nice glass of red wine instead of a beer.